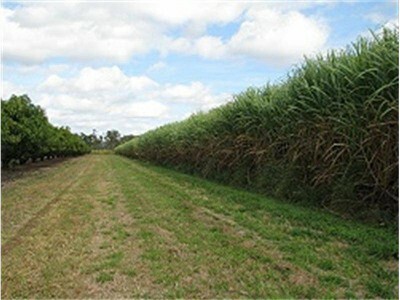 Mangoes, Sugar Cane, two homes and room for another crop or venture. Main road frontage, 78 hectares on two titles, river boundary, irrigation, huge water allocation, shed and more on a flat land not far from town!! "The sustainability declaration for this property is available from the Office upon request"